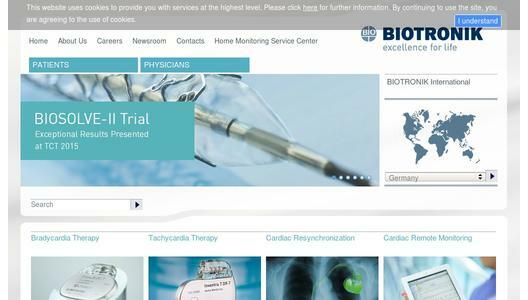 BIOTRONIK, a leading manufacturer of cardiovascular medical technology, announced today that it has received Food and Drug Administration (FDA) approval for use of its latest family of implantable cardioverter defibrillator (ICD) systems with magnetic resonance imaging (MRI) scans. BIOTRONIK ProMRI® technology allows patients with approved device systems to have 1.5 Tesla MRI scans without an exclusion zone. ICD patients will have expanded access to MRI diagnostic scans, which can be critical for diagnosing conditions such as stroke, brain and cardiac tumors or orthopedic injuries. The BIOTRONIK ProMRI ICD family approval includes the Iperia DR-T in both DF-1 and DF4 configurations; and the Iperia DX System, the only ICD hybrid that combines the benefits of both single- and dual-chamber devices. Also included is Inventra ProMRI DX, which is the only ICD available that offers ultra-high energy (42 Joules) on the first shock, for patients with complex heart conditions who may require a higher-powered first shock for effective therapy. The devices are MR conditional when used with appropriate BIOTRONIK leads to complete the approved ProMRI system. MRI scans are used to diagnose a multitude of conditions, especially those involving “soft” tissue like heart, brain, muscles and liver. Seventy-five percent of patients with an implantable electronic device (pacemaker or ICD) will need an MRI in their lifetime1. Until recently, people with ICDs were denied access to MRIs. BIOTRONIK is one of the first companies in the U.S. with ICDs that allow this access, following the first FDA approval in September 2015. “We have truly entered a new era of total health care for cardiac rhythm management patients who rely on ICDs to monitor their hearts and provide life-saving therapy when demanded,” said Mark A. Marieb, MD, clinical director of Electrophysiology at Yale-New Haven Hospital and Yale School of Medicine in New Haven, Conn., and an investigator in the ProMRI Clinical Study. “Devices that are tested to be safe and approved by the FDA for use in MRI scans provide assurance to patients and all of their current and future healthcare providers that this therapy will not create a compromise for other diagnostic needs in the patients’ lifetimes,” Dr. Marieb added. This industry-leading FDA approval is the third in the last 18 months for BIOTRONIK ProMRI technology. “Our goal is to integrate ProMRI technology across our entire line of implantable systems, and in doing so, provide access to MRI diagnostic scans for all CRM patients,” said Marlou Janssen, President, BIOTRONIK, Inc.
“The ProMRI Study and subsequent FDA approvals have been part of a consistent and methodical process for making more MRI options available for U.S. cardiac device patients, starting with single- and dual-chamber pacemakers with an exclusion zone in May 2014, then full-body for the same pacemaker lines in March 2015, and now ICDs for full-body scans, including BIOTRONIK’s unique DX device system. This is meaningful technology that will enhance the quality of healthcare for patients throughout their lives,” Marlou Janssen added. Closed Loop Stimulation (CLS), BIOTRONIK’s proprietary rate response algorithm that allows patients to receive the most physiologic pacing adaptation in accordance with their metabolic needs. DX technology is based on more than a decade of engineering refinement to ensure accurate and reliable sensing and processing of the atrial signal. Due to its unique technology, the DX System has continued to drive BIOTRONIK’s U.S. customer adoption since it was initially introduced in February 2013. BIOTRONIK Home Monitoring® offers the highest patient compliance2 and has demonstrated mortality reduction for patients with heart failure3. BIOTRONIK ProMRI ICD family is equipped with competitive battery capacity to offer longevity leadership even with energy-consuming processes active4. BIOTRONIK ProMRI technology enables patients with a pacemaker, implantable defibrillator or cardiac monitor to undergo an MRI scan. Internationally, BIOTRONIK has the broadest portfolio of cardiac devices approved for use in the MR environment on the market. For more details, please go to www.biotronik.com/promri. 1Roguin A, et al. Europace. 2008; 10(3). 3Hindricks G. et al. The Lancet. 2014, 384(9943). 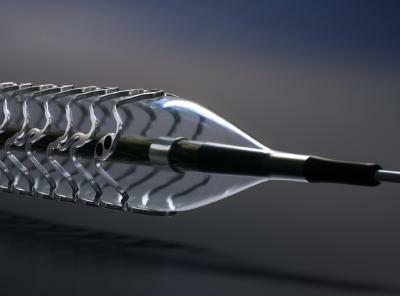 Established with the development of the first German pacemaker in 1963, BIOTRONIK has upheld the highest quality standards in the fields of cardiac rhythm management and vascular intervention in more than 100 countries worldwide. 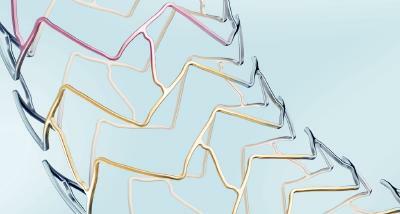 We have developed advanced technologies and products such as BIOTRONIK Home Monitoring®, Closed Loop Stimulation (CLS) and Orsiro, the industry's first hybrid drug-eluting stent. BIOTRONIK also offers the broadest portfolio of cardiac devices with ProMRI®, an advanced technology that gives patients access to magnetic resonance imaging.